Should I go first time scuba diving in Cozumel? Scuba (Self-Contained Underwater Breathing Apparatus) diving is a fantastic sport. Thanks to this sport, you will find out an entirely new world that exists underwater. Cozumel is a place where you can usually find a wide array of species of flora and fauna. Of course, it all depends on the area where you are taking your discover scuba diving trip. 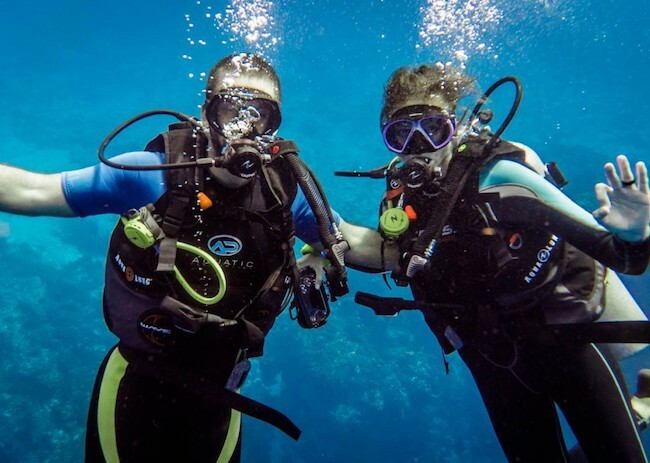 On top of that, scuba diving can improve your health in many different ways – from enhanced flexibility and strength to better cardiovascular system and less stress. These are just some of the reasons why adventurous people want to try scuba diving while they are on vacation. Some of them are traveling to popular scuba diving destinations to try this sport. One of these places is Cozumel Island. How to go scuba diving for the first time? Cozumel Island is the most significant Mexican island in the Caribbean Sea. This island is famous because it has exceptional nature, friendly people, and great weather. In the last few decades, Cozumel Island has become a real magnet for divers from all over the world. There are 19 official scuba diving spots in this area, and each of them is unique and suitable for different categories of divers. If this is your first-time scuba diving in Cozumel, you should look for a program designed for scuba diving beginners. My Trip is the best, and official PADI Discover Scuba Diving Program in Cozumel made with beginners needs in mind. 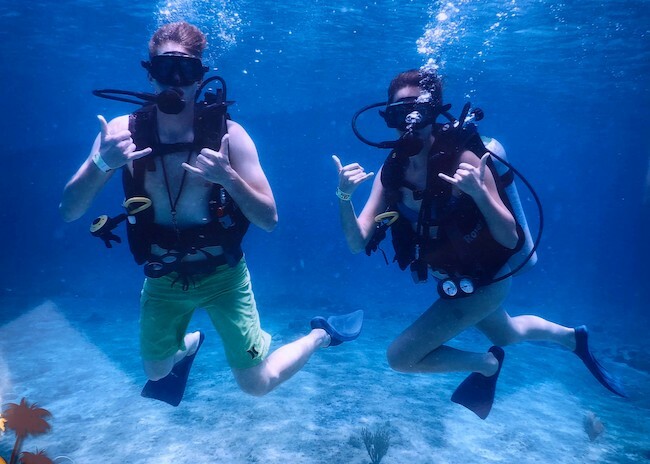 Even though this is not an official scuba certification course, with the help of this program, you will get a proper introduction to scuba diving. The only requirements to become part of this program are to be reasonably healthy and to be ten years old or older. It is never too late to learn how to scuba dive, and Cozumel Island seems to be the perfect spot for this activity. With the help of the PADI Discover Scuba Diving Program, you will learn to scuba dive in cozumel. The process is monitored and guided by an experienced PADI professional. In case you want to jump in open waters, you will learn a few more things in shallow water. Luckily, there are many places with shallow water in Cozumel. What to expect from a Cozumel scuba diving program for first timers? During this course, you will get access to the necessary scuba diving equipment like fins, masks, and tanks. The experienced English-speaking diving instructors will explain how scuba diving works and how to do it in the safest way. First-time scuba diving in Cozumel is a beautiful and safe experience that you will never forget. The water surrounding this island is warm and bright. In these waters, you can see many different marine creatures including splendid toadfish, hawksbill turtle, green moray, smooth trunkfish, gray angelfish, slender filefish and more. As we mentioned before, there are a few places where you can practice scuba diving in Cozumel, but the most popular include Paradise Reef, Palancar Reef, Santa Rosa Wall, and Palancar Horseshoe. Use this chance to learn a new sport and enjoy your holiday in Cozumel. © 2000 - 2019 Cozumel Discover Scuba. All rights reserved.